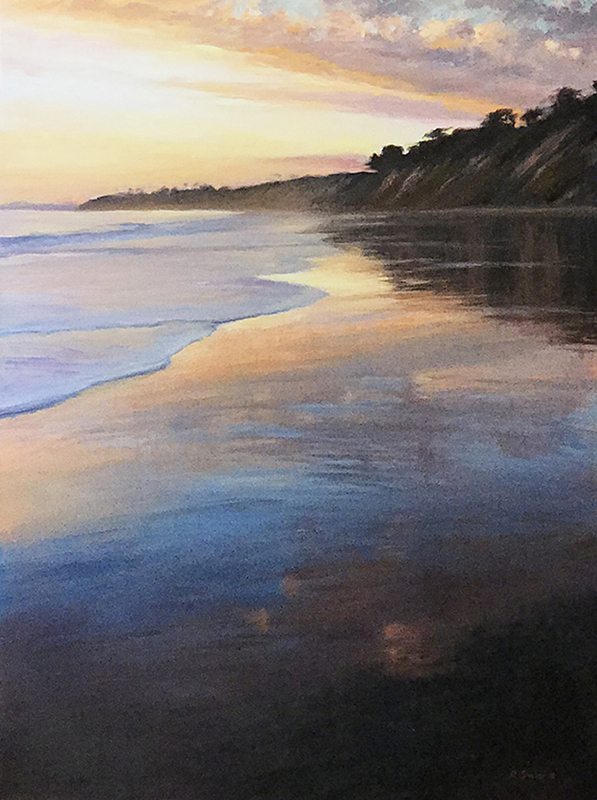 I fell in love with the landscape when I began painting in 1972 in Santa Barbara. I was inspired by the light and atmosphere of the region and spent my college years painting outside while everyone else was painting large expressionistic abstractions. I grew more and more interested in large paintings and adjusted my approach to work in the studio. Larger paintings are less objects to own and more spaces to inhabit. Today I still do small paintings outside but mostly work on larger pieces in the studio. The most interesting aspect of the landscape is the interplay between the local color of the objects, the color and direction of the light hitting them and the effect of the intervening atmosphere. Every situation is unique and the factors influencing the color dominate in varying degrees. As humans we tend to see what is immediately important, i.e. the objects in space around us. As an artist I tend to see that which we see but don’t notice. The color of the light, gradations of color and altering effects of the atmosphere. Richard Schloss was born in 1953 in Fort Worth Texas but worked and showed in Santa Barbara since 1972. He completed a Master of Fine Arts in Painting at UCSB in 1979 and a BA in Italian in 1981. He initially explored many different styles and mediums but focused on painting outside in the landscape in 1976 which he continued to do exclusively until the mid 80s. 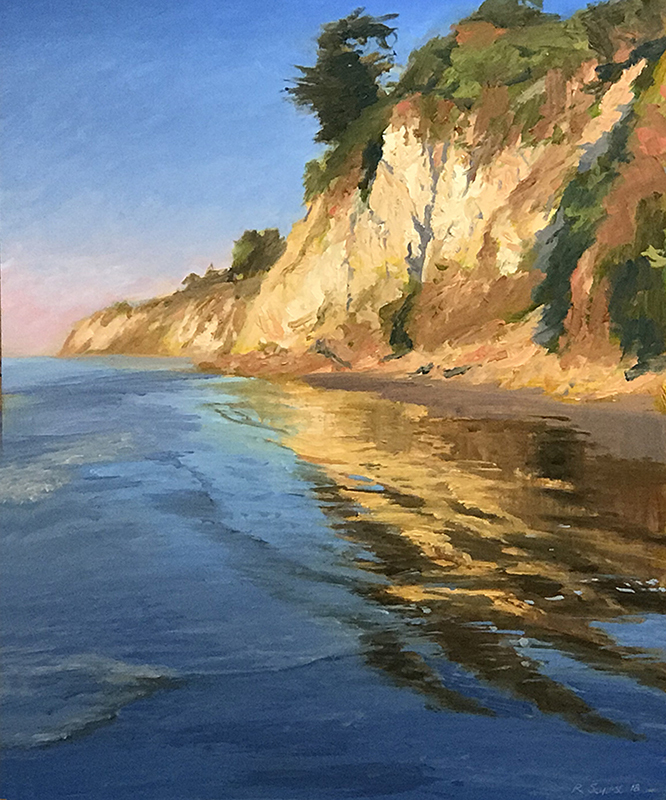 Today he continues to paint en plein air on small paintings but does most of his work in the studio on large paintings. In 1980 he spent a year painting in Europe on an award scholarship and in 1992 he was chosen to paint the diorama backgrounds for The Cartwright Interactions Hall at The Santa Barbara Museum of Natural History. 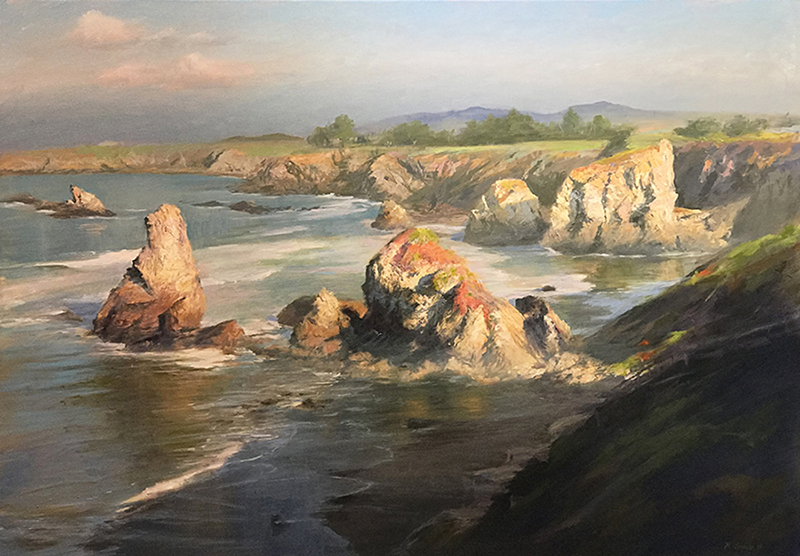 He has done numerous commissions for public spaces including Santa Barbara Cottage Hospital, Santa Barbara Historical Museum and The Palo Alto Medical Foundations in Mountain View and in Sunnyvale, and in 2015 had a large one-man show at the Ventura Museum of Art. 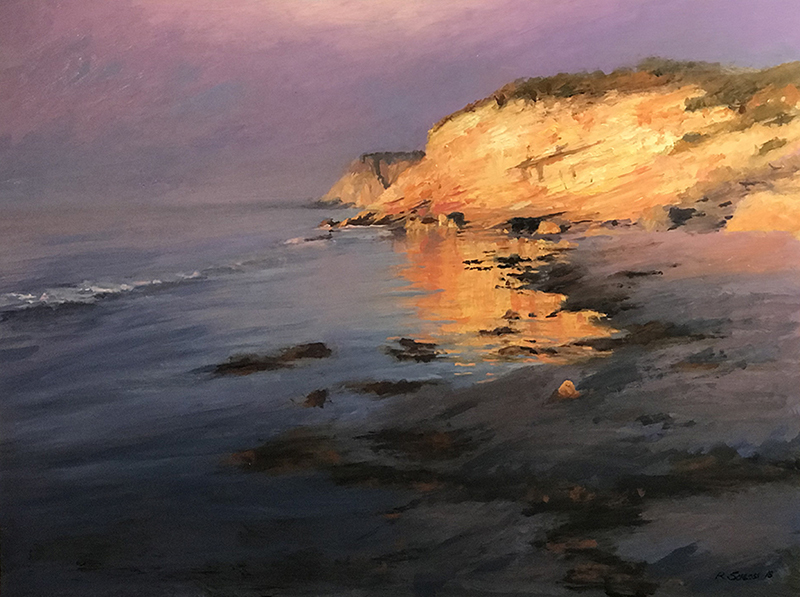 His work is included in four museums in the Central California area including the Santa Barbara Historical Museum, The Ridley Tree Museum and the Ventura Museum of Art. Today he lives in Santa Barbara, California with his wife, Julie and has a 31 year old son in Idaho, a 21 year old daughter at university in Manchester, England and two grandchildren.